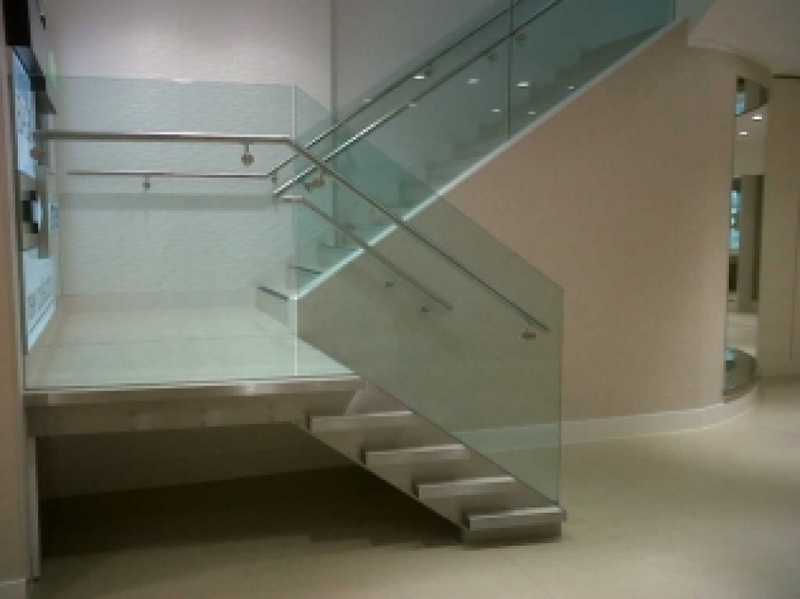 Here are some of the many projects we have carried out in the stairs sector. Please do not hesitate to contact us for more information about these projects and how they relate to what you need. 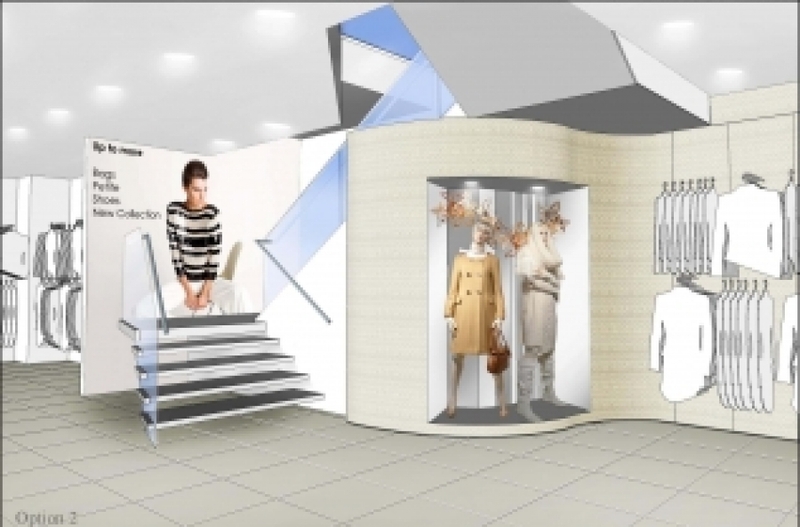 Meza9 were awarded the contract to supply and install a feature staircase and handrail system to a new concept store in Yorkshire. 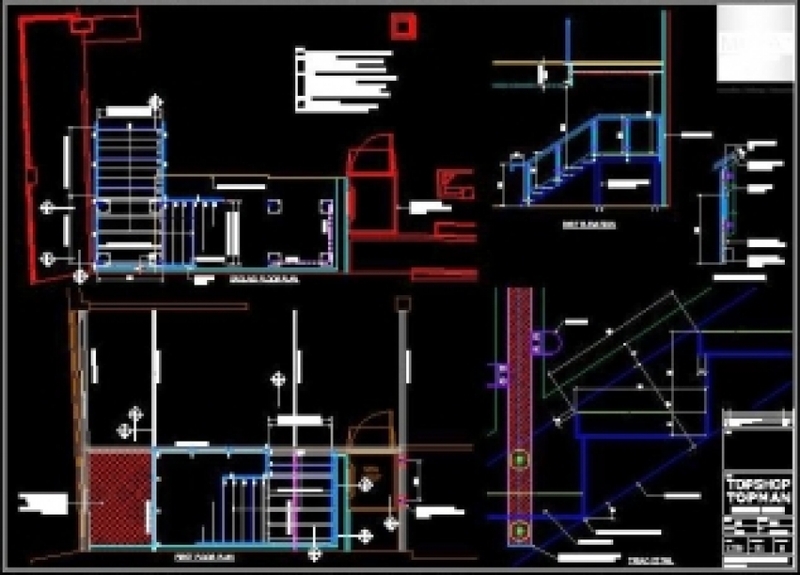 The new store required new, ground up designs to fit in with the interior design, we achieved this by using detailed, in house structural design and non standard componentary. 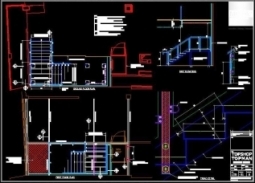 Full drawings were supplied for the client and new concept designers to approve. 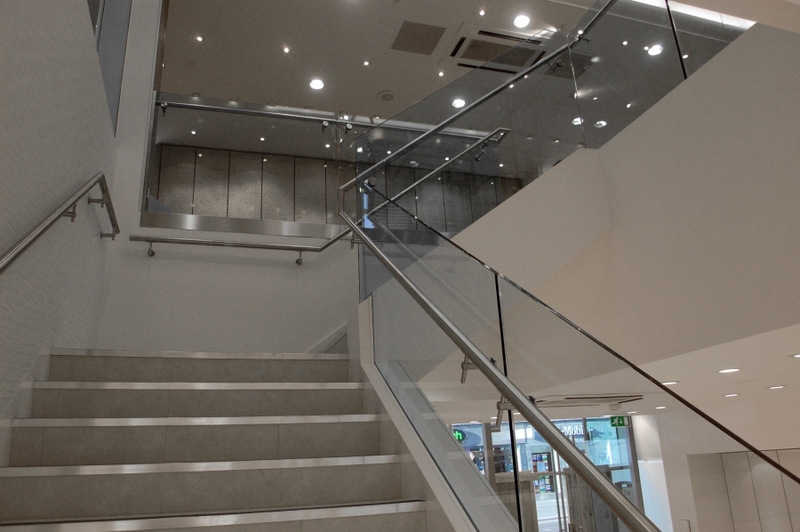 The stairs were a bespoke design to match the new store concept. The design of the stairs included a short return flight that had the added benefit of allowing for wall mounted graphics. Safety is paramount but these stairs also really look good! This was a contract to design, manufacture and install a totally new staircase to replace the existing stairs. 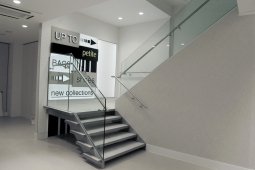 This is an example of how a simple thing like a flight of stairs can help transform the whole apperance of a retail shop. 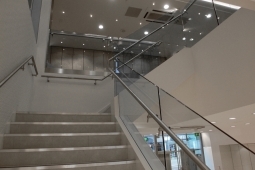 These original stairs show how a shop can be seen as dated and lead to a bad impression. 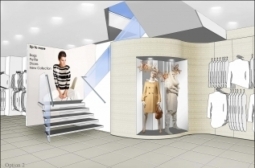 The entrance to the new stairs has been swung round to give more space and a full shop vista. This shot shows the stainless steel stringers. Side on the stairs almost disappear! There is no reason why the arrival point of a stairway can't look dramatic. 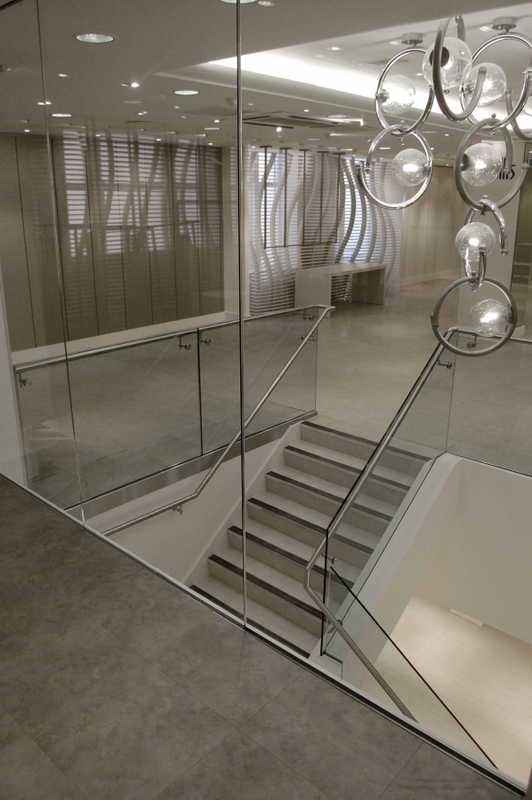 A frameless glass balustrade adds to the attraction. Looking up the stairs makes you want to take them up to the next floor. The grabrails in stainless steel help with this.